I was a college radio DJ and station manager in the early 90’s and over 20 years later, I discovered CHIRP as a listener and now I’m back on the air as a DJ. I also volunteer as the CHIRP marketing director. 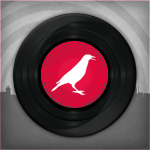 You can hear my show Monday nights from 6pm-8pm on 107.1FM and chirpradio.org playing a mix of indie, punk, jazz, blues, psych, soul, early rock-n-roll, and of course, local Chicago music. Check out the last two weeks of my show archive here. I am a life-long Chicago area resident and have lived on the city’s Northside for over 20 years. My other time is spent as an artist - creating cityscape paintings and photographs of architecture. My studio is located at the Cornelia Arts Building - one of the oldest working art studio buildings in Chicago.